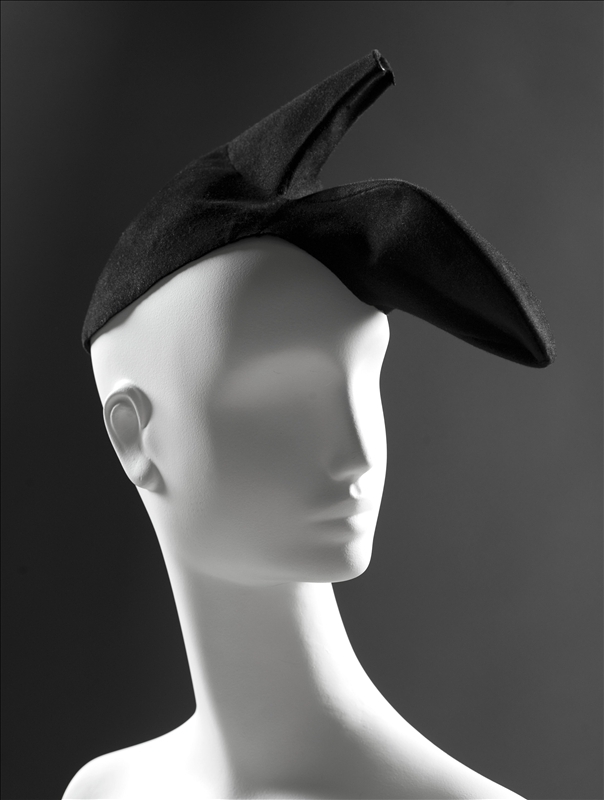 The high-heeled Schiaparelli shoe hat was created in 1937 in collaboration with Salvador Dalí. The idea came from a photograph taken in 1933 by Dali's wife Gala, showing the artist wearing a woman's shoe on his head and another one on his shoulder. The hat was captured for posterity in a photography by Georges Saad, published in the October 1937 number of L’Officiel de la Mode et de la Couture, and Gala herself can be seen wearing it in a photo taken by André Maillet in 1938. 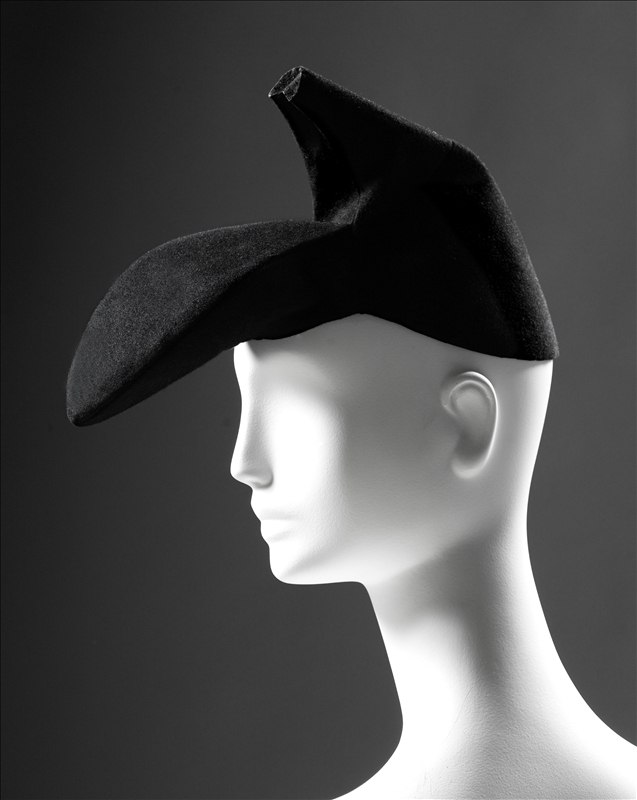 This hat, which belonged to Gala, entered the museum collection in 2013. On her return to France from the United States in 1947, Gala gave it to her daughter Cécile Eluard. Two other examples of this emblematic accessory are known: one with a red heel in the Andrea Pfister Collection, the other with a black heel in the Metropolitan Museum of Art in New York. The original sketch is in the Union Française des Arts du Costume at the Musée de la Mode et du Textile in Paris.